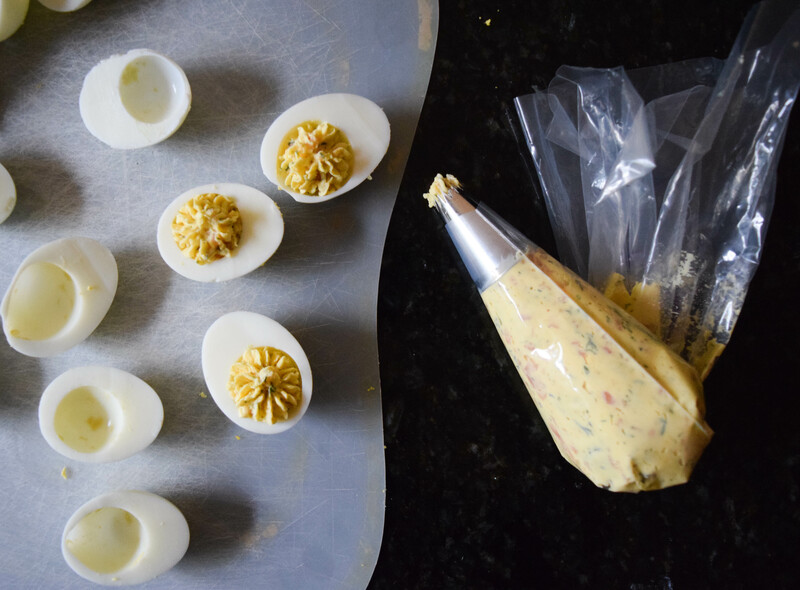 When it comes to deviled eggs, I am hard to please. I’ve eaten many variations over the years, from fine dining riffs to friends’ appetizer offerings, but find that they all fall short of our family recipe, my aunt’s specialty. 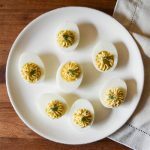 Her classic preparation uses straight forward ingredients – hard-boiled eggs, mayo, salt, pepper and a sprinkle of paprika – creating a snack that is creamy, tangy, and completely crave-worthy. 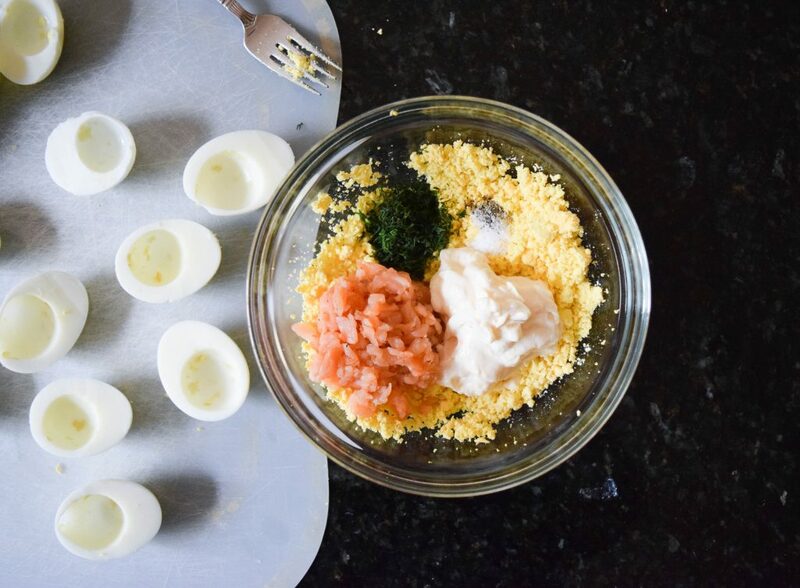 Though her recipe requires no embellishment to make it the perfect bite, occasionally I add smoked salmon and dill for a twist on tradition. The salmon filling melts in your mouth and the dill gives a pleasant pop of bright flavor. Try some today using your Farmer Owned ingredients for a snack your family will love! First, prepare your eggs. Place eggs in the bottom of a large stock pot and cover with water by about 2 inches. Bring the water to a boil and then reduce to a simmer and cover. Cook for 10 minutes. Remove the pot from the heat and carefully drain the hot water. 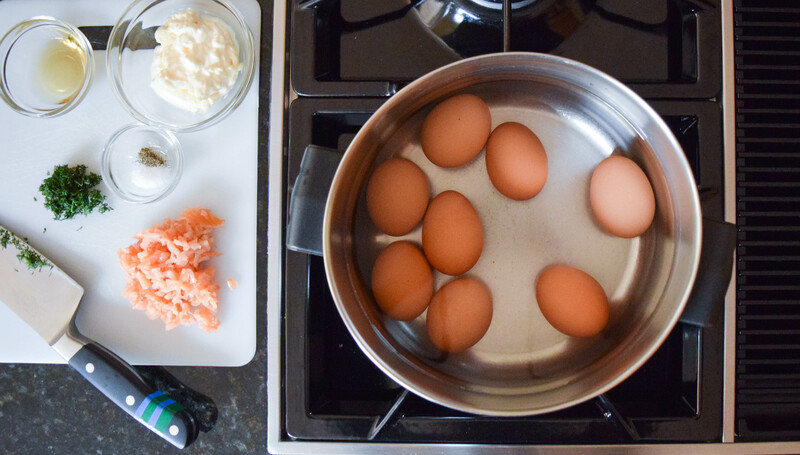 Run cold water over the eggs and peel immediately. 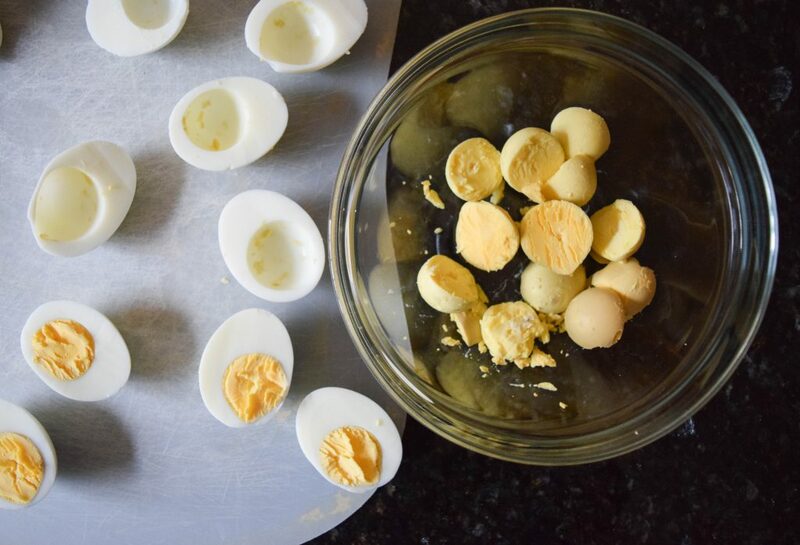 Once all the eggs are peeled, chop them in half lengthwise and remove yolks. 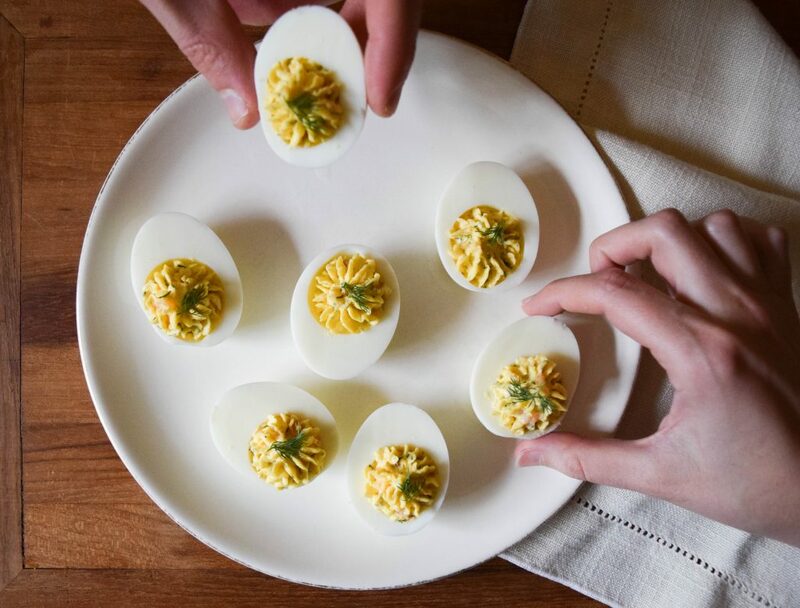 Transfer the yolks to a medium-sized bowl. 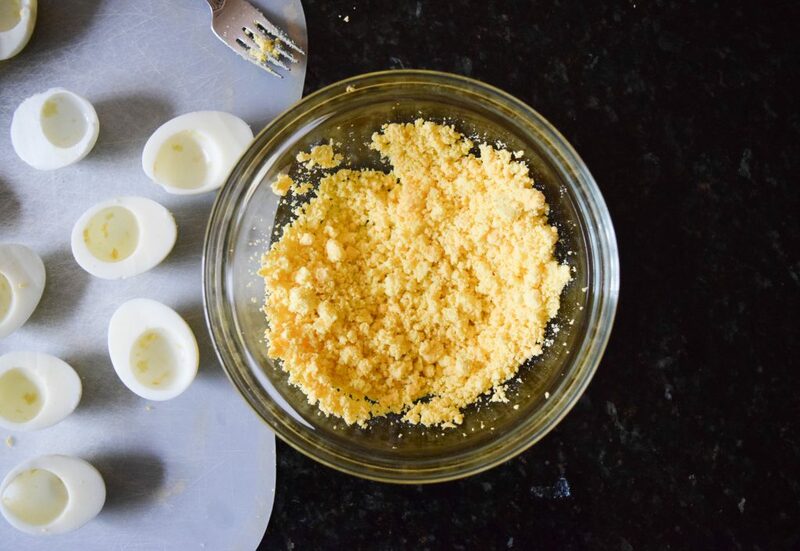 Mash the yolks with a fork until there are no large chunks. Mix in the salmon, mayonnaise, dill, salt and pepper. Add a little vinegar at a time until the mixture is thick but creamy. 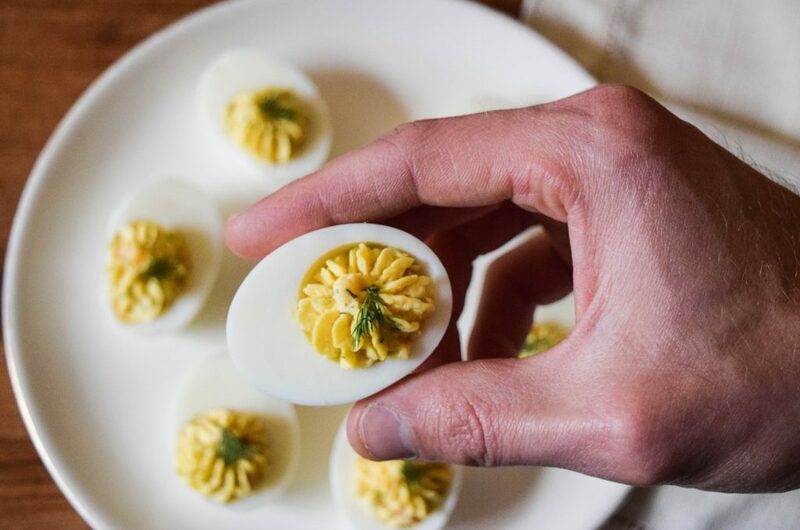 Place the filling in a piping bag and fill the cavities of the egg whites until they are just overflowing. Top with extra dill for garnish. 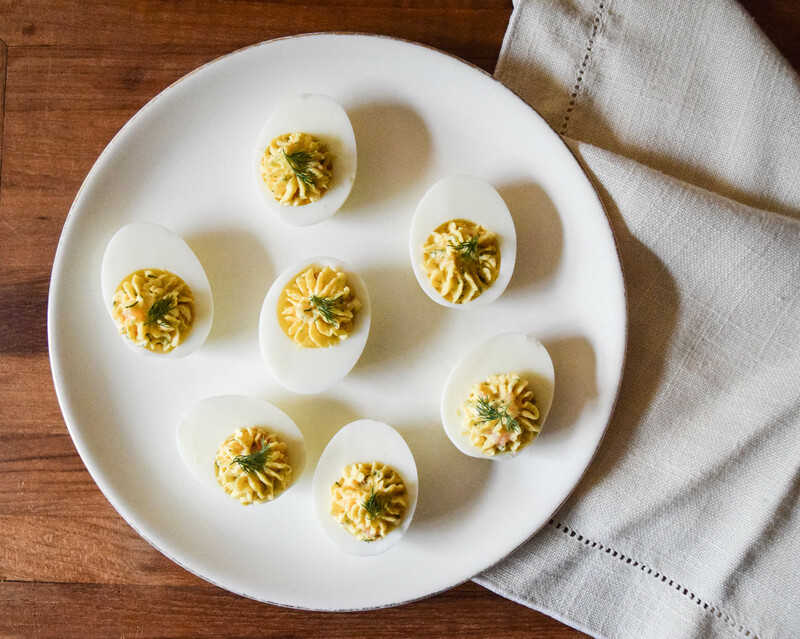 These deviled eggs make a snack that is creamy, tangy, and completely crave-worthy. They include smoked salmon and dill for a twist on tradition. The salmon filling melts in your mouth and the dill gives a pleasant pop of bright flavor.